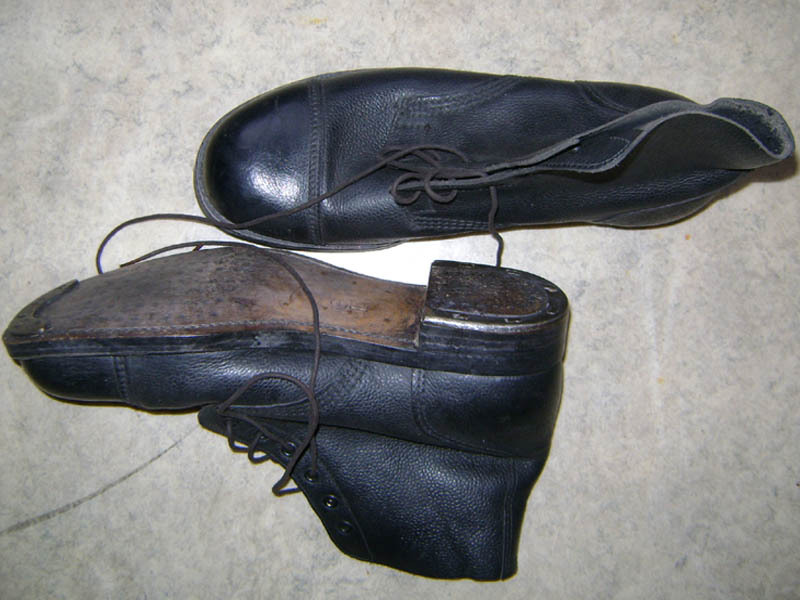 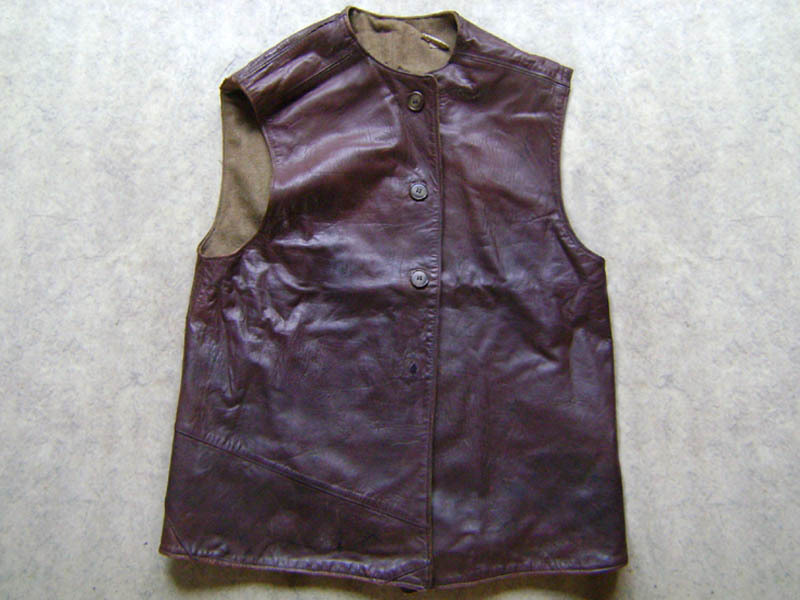 The Leather Jerkin dates back to the first world war and was essentially a cold-weather "working" item. 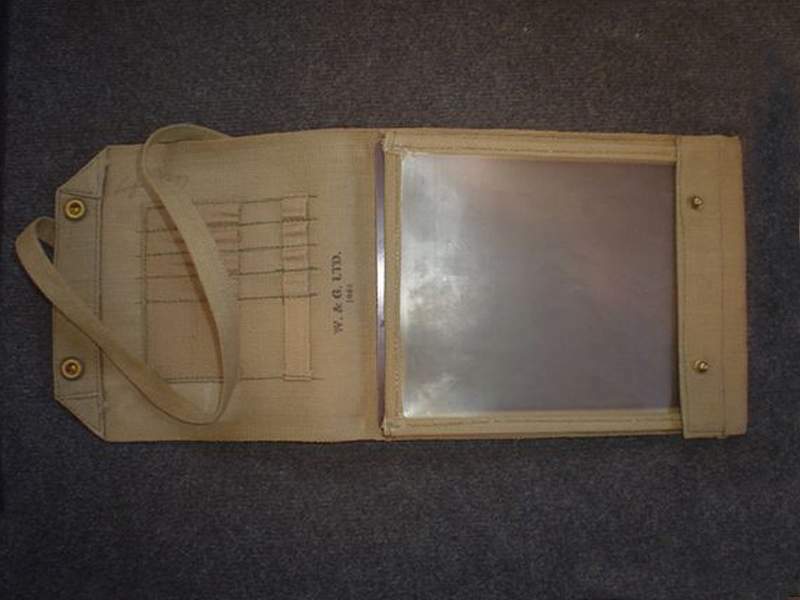 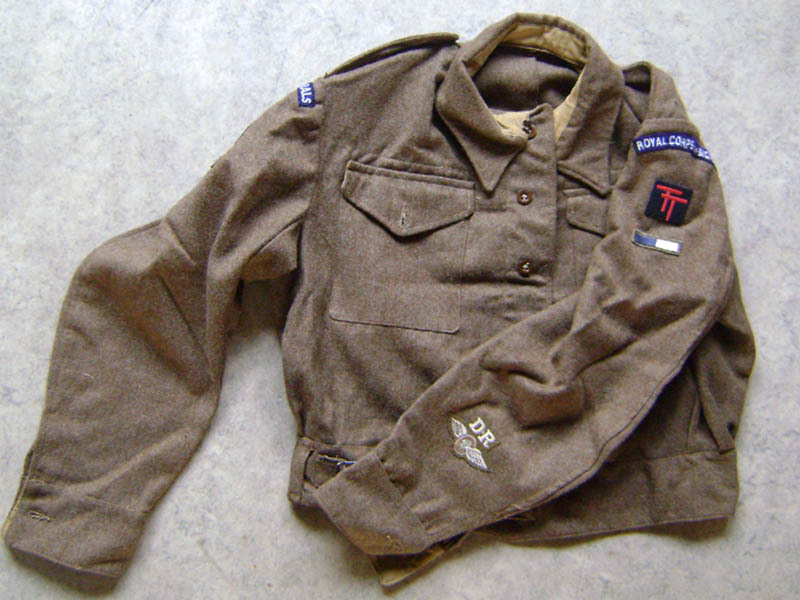 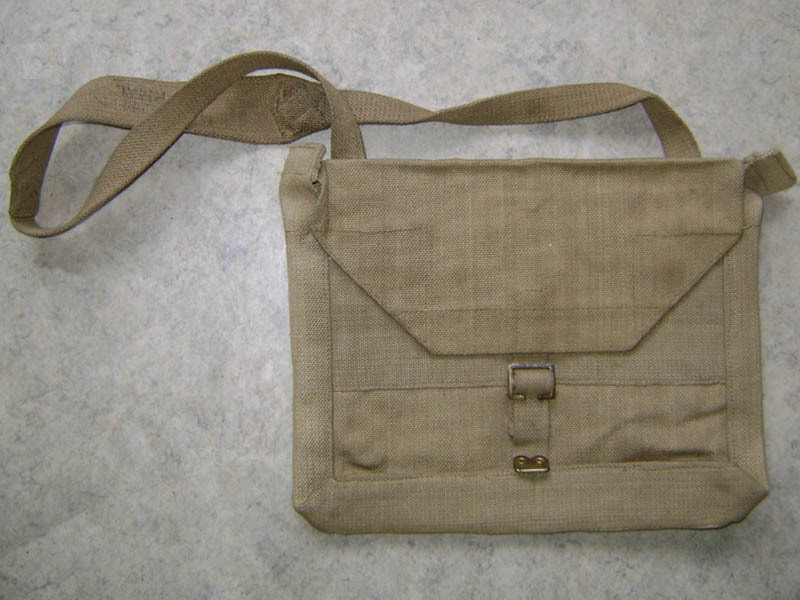 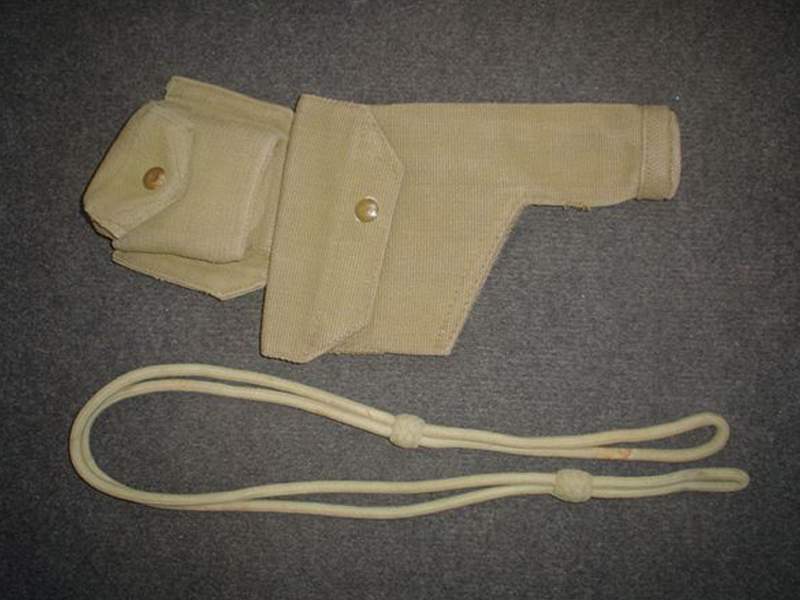 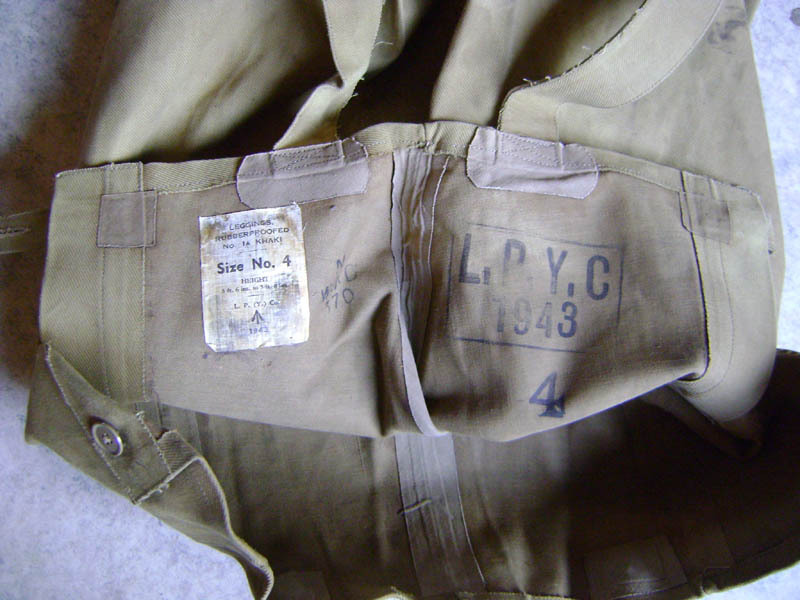 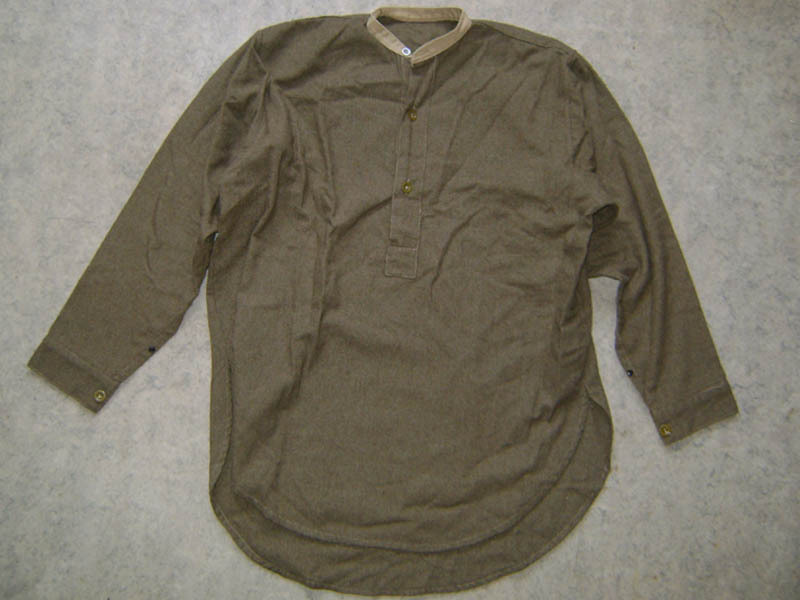 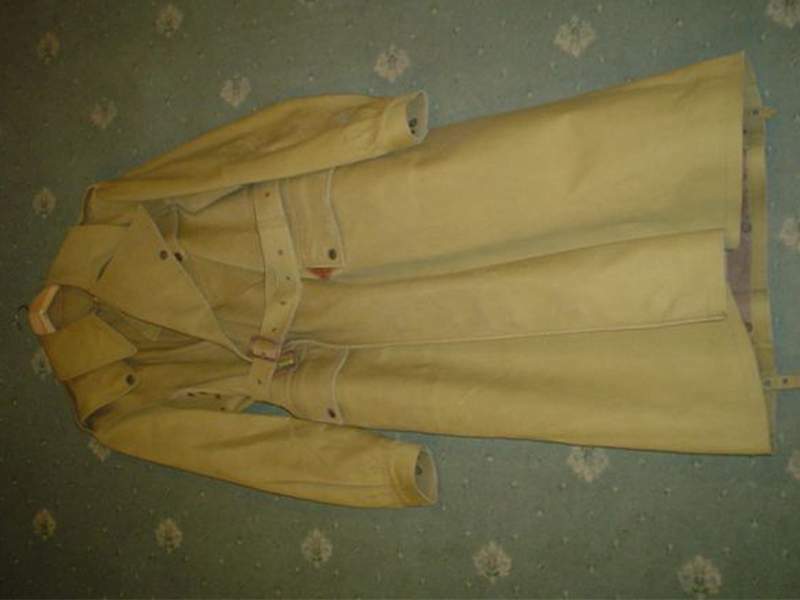 Most WW2-era jerkins are made from brown leather, with 4 large plastic buttons on the front, and lined throughout in khaki serge. 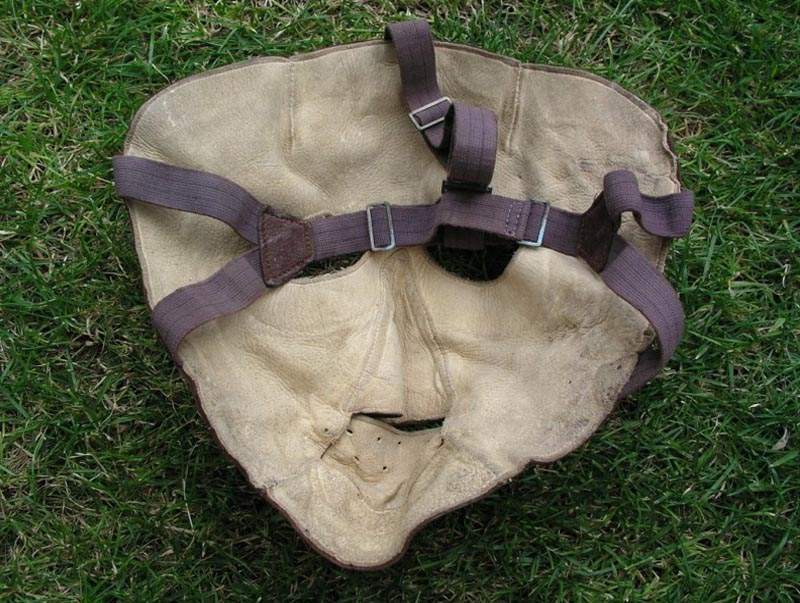 Many jerkins appear of "patchwork" construction, likely due to wartime economies requiring the use of the smallest scraps of leather. 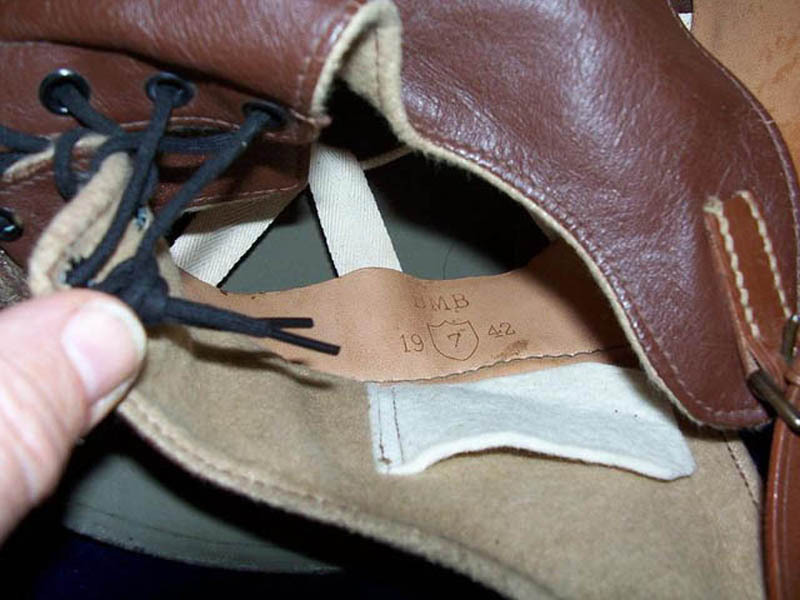 The common brown leather colour may vary from a very light orange-tan right through to a dark brown. 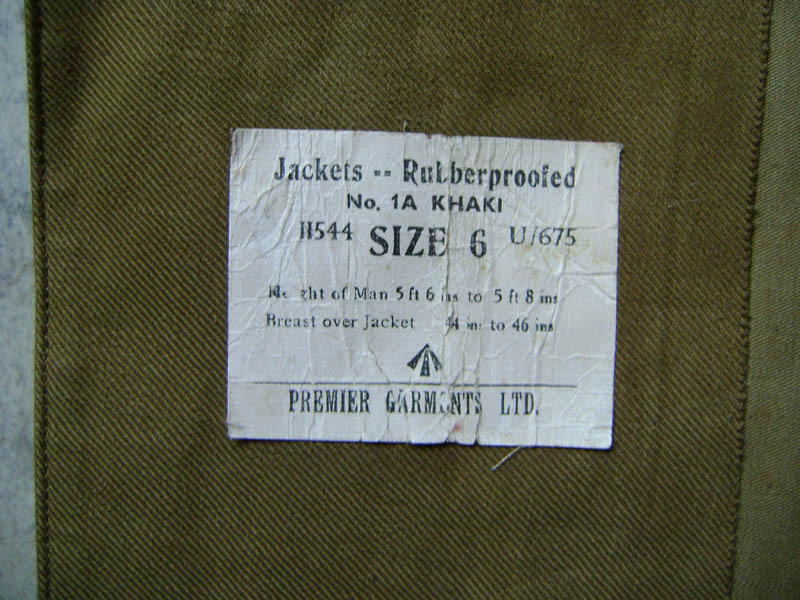 Jerkins came in 3 main sizes, marked "1 to 3" (smallest to largest). 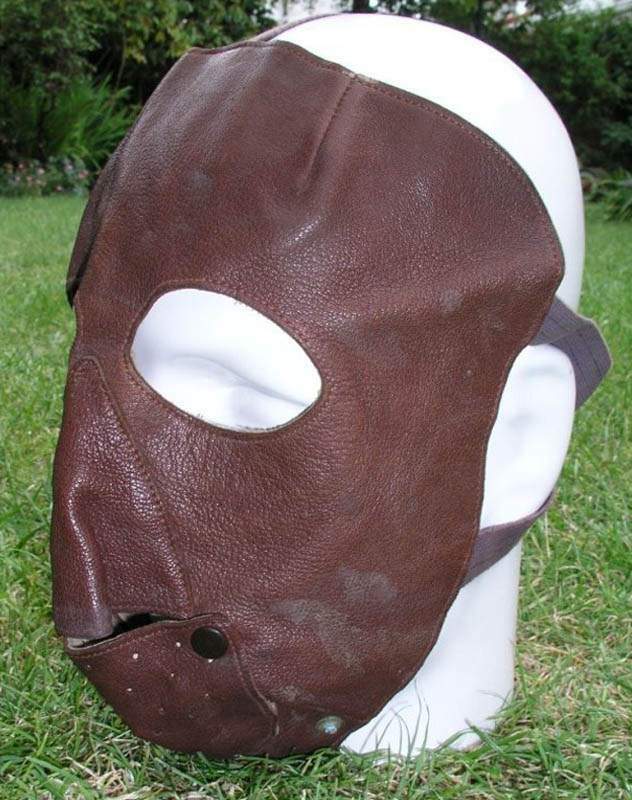 British WD jerkins can still be found today brand-new, but they are getting scarcer and the price seems to be rising. 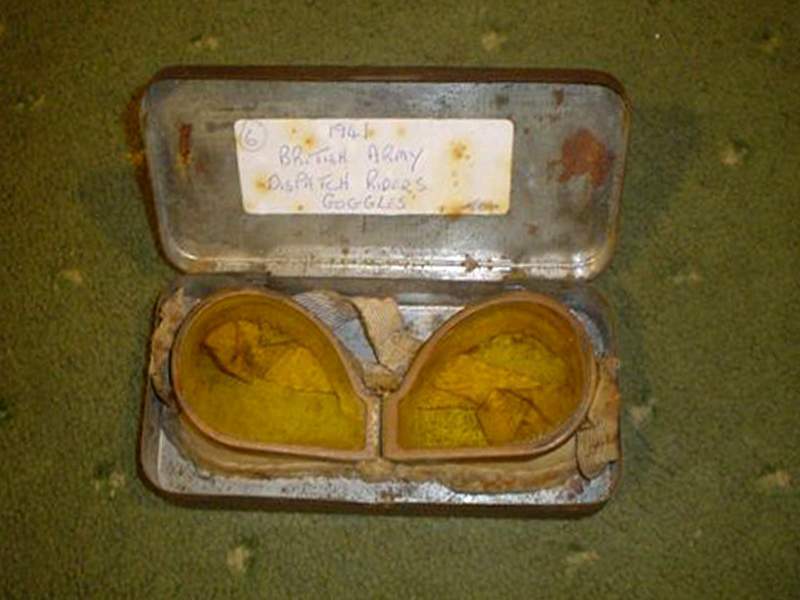 Loads of them were released from storage in the early 1990's. 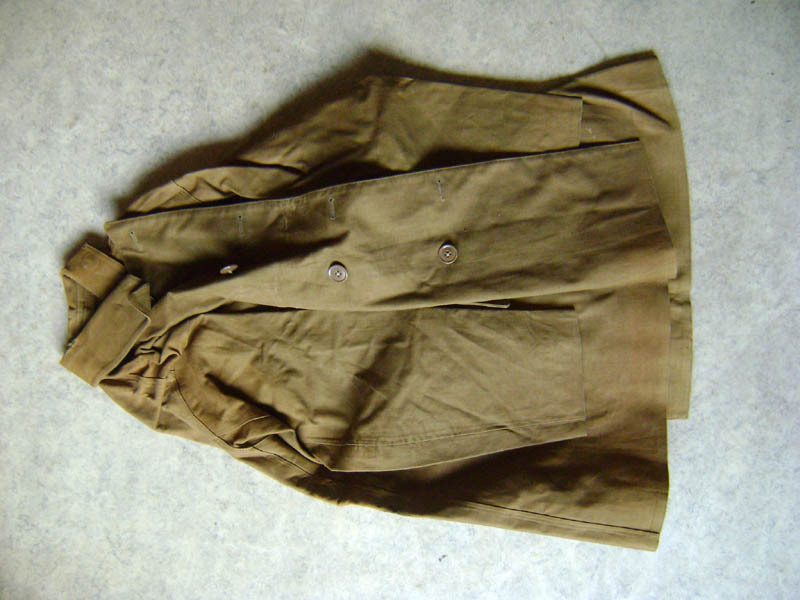 A "used" example is probably a better bet, especially if you intend to wear it. 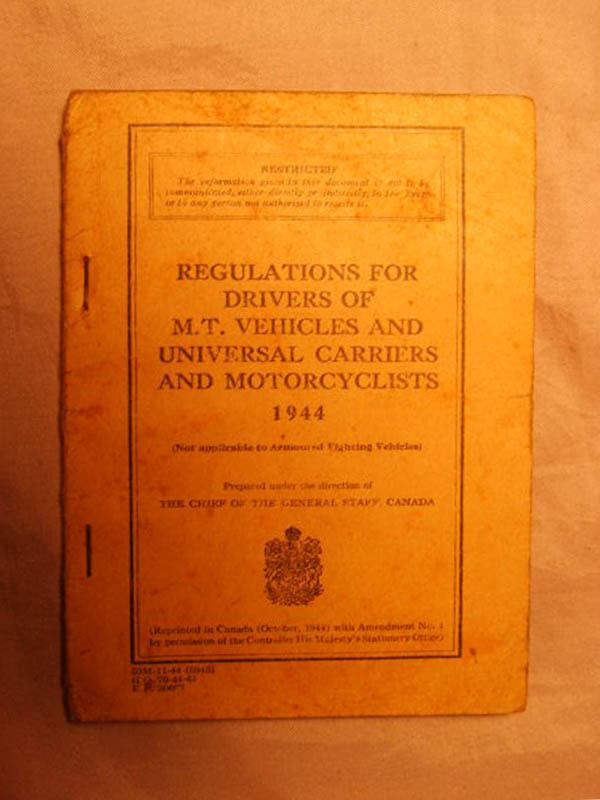 Commonly termed the "fibre" or "pulp" helmet, or even "pudding basin", this helmet type preceded the steel motorcyclist's helmet by approximately 2 years. 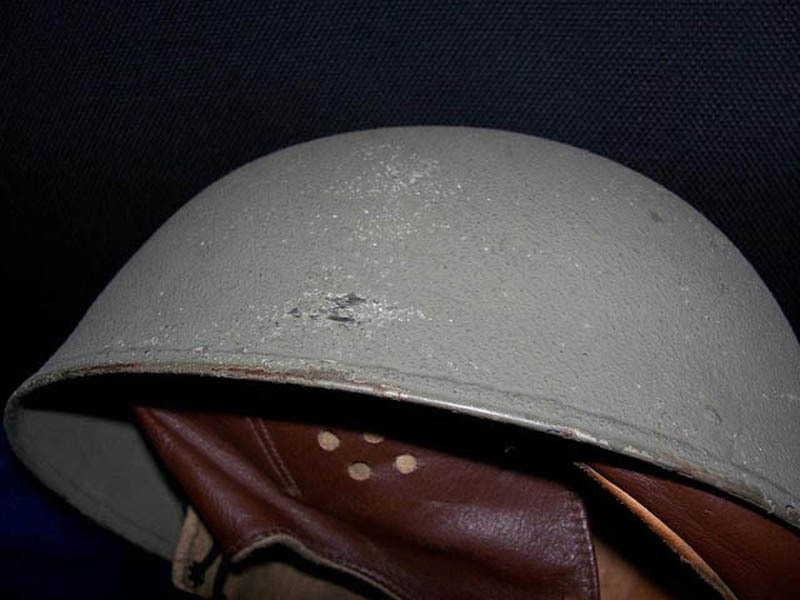 The WD issue fibre helmet was introduced into service in the late 1940. 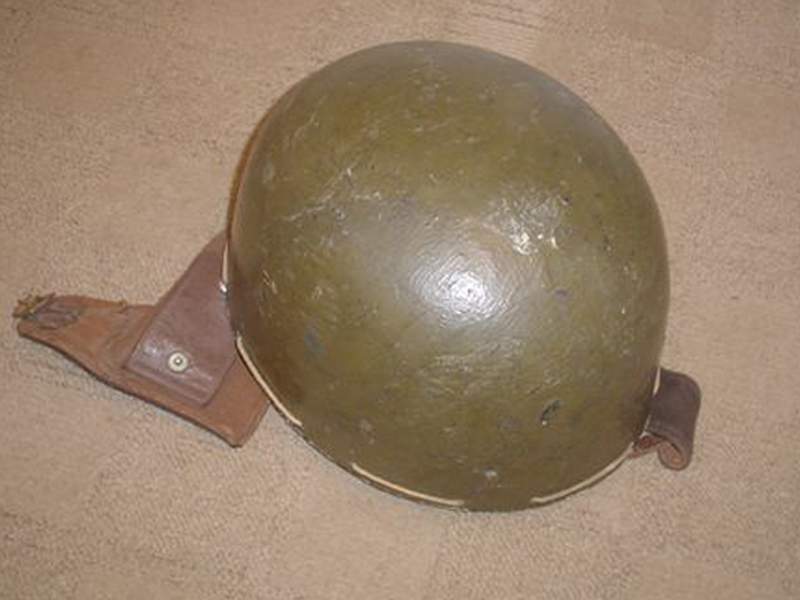 A later, 2nd model of this helmet was produced which economized on production methods and materials. 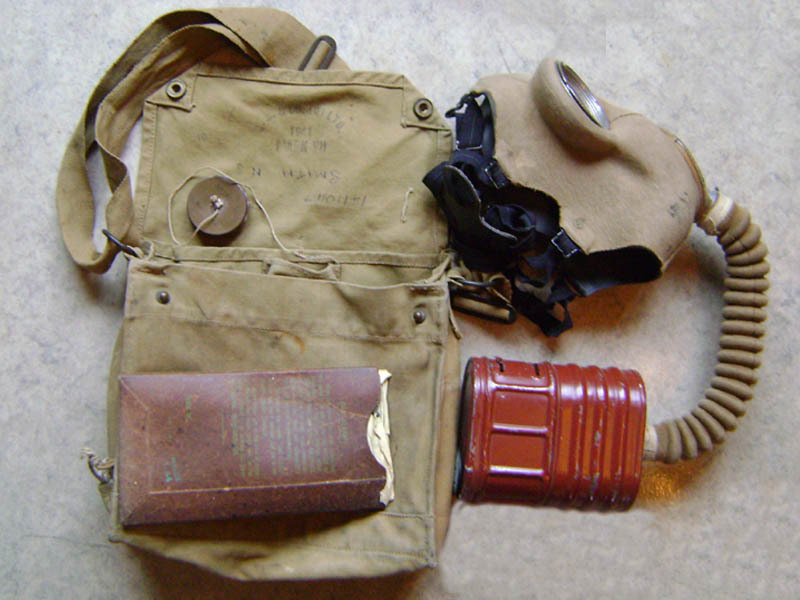 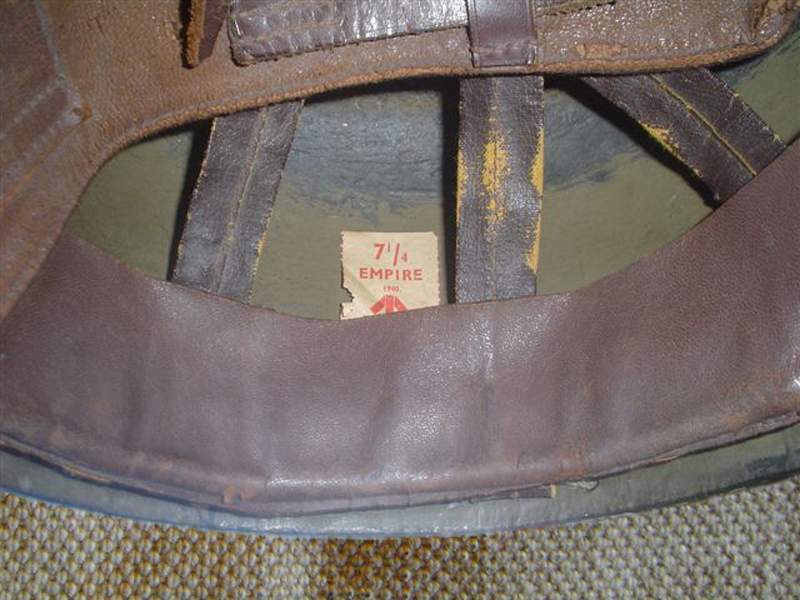 Introduced in 1941, this "economy" helmet had the shell constructed from a compressed rag/cork/rubber mix which additionally did not feature the external anti-abrasion strips either side of the lining attachment cord. 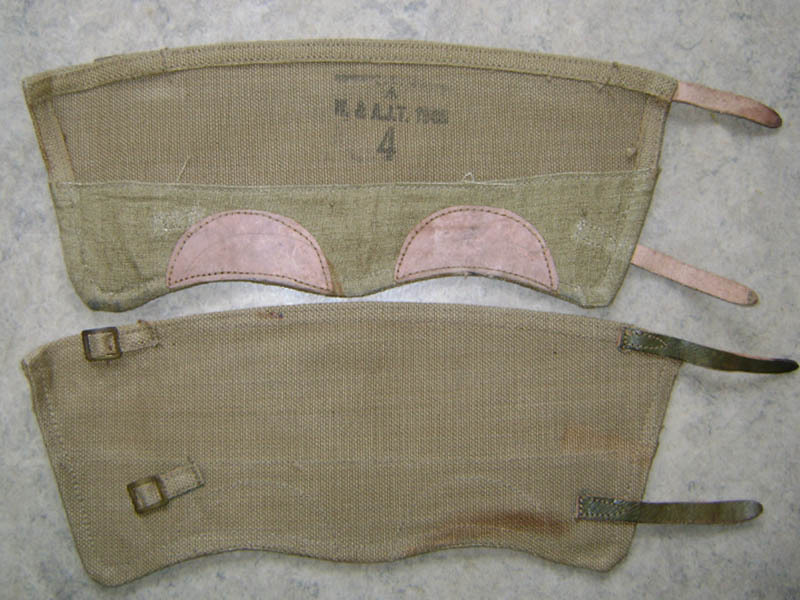 Internally, the cotton-tape head cradle was replaced with strips of reinforced oil-cloth/rexine. 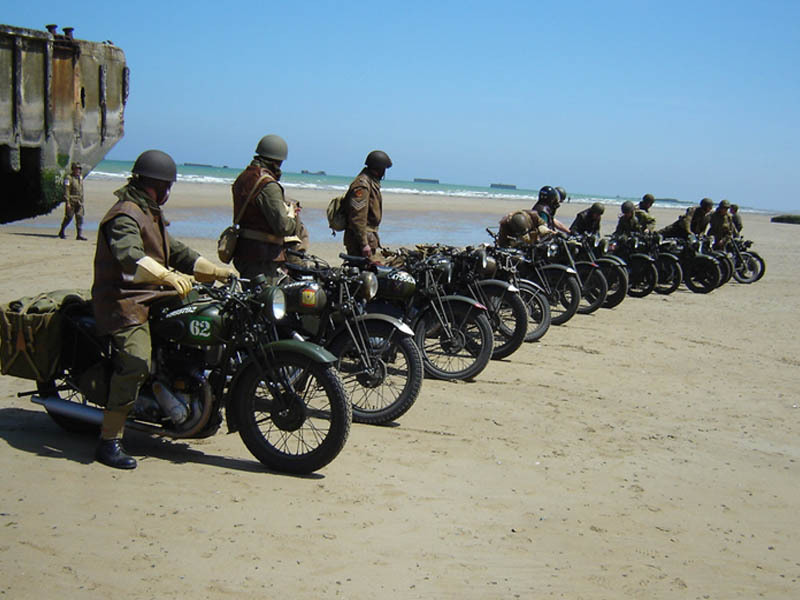 The British WW2 1942-pattern Motorcyclist's Steel Helmet was made in quite a range of sizes, from 6 1/4 through to 7 3/4, going up in 1/4 size increments. 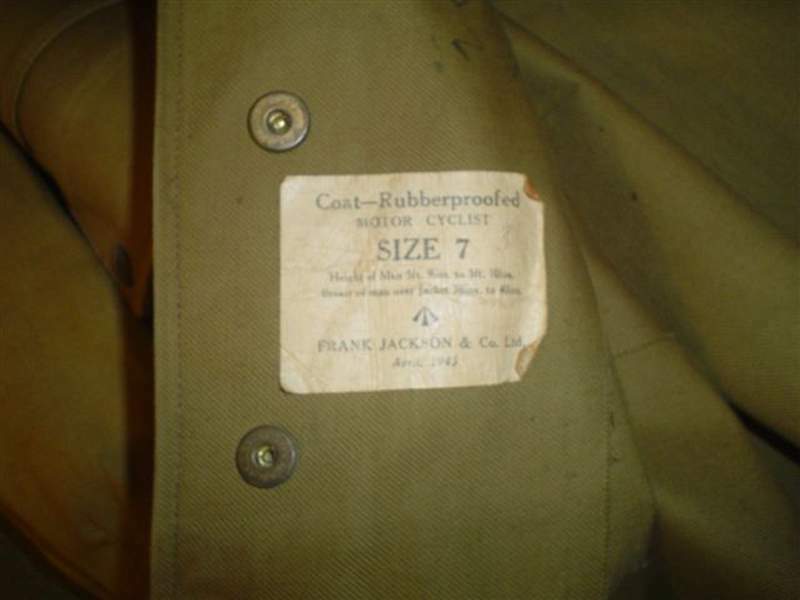 Two sizes of steel shell were made for all sizes, the smallest size for sizes 6 1/4 through to 7 1/4, and the largest size for the two remaining sizes 7 1/2 and 7 3/4. 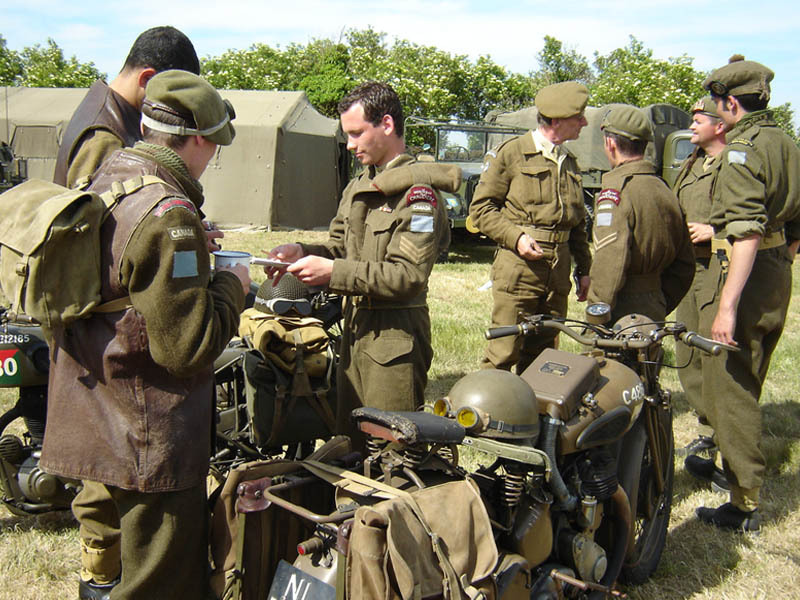 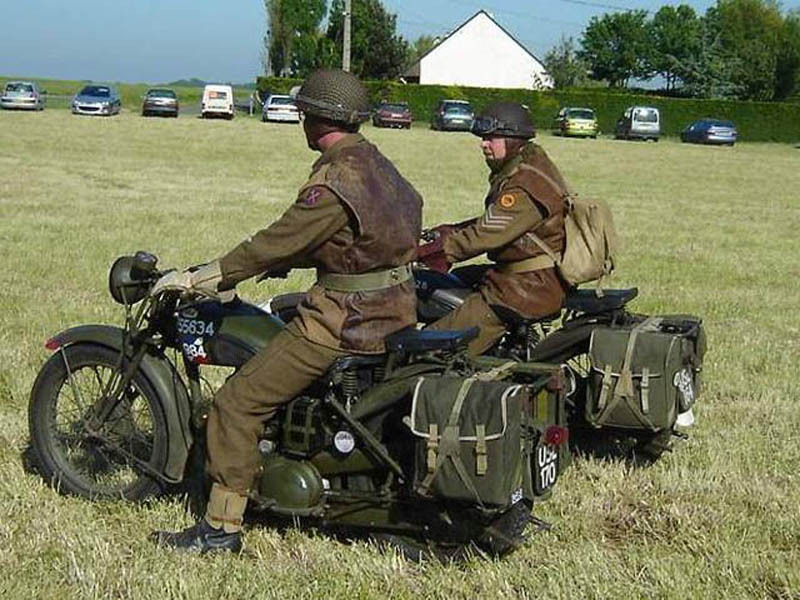 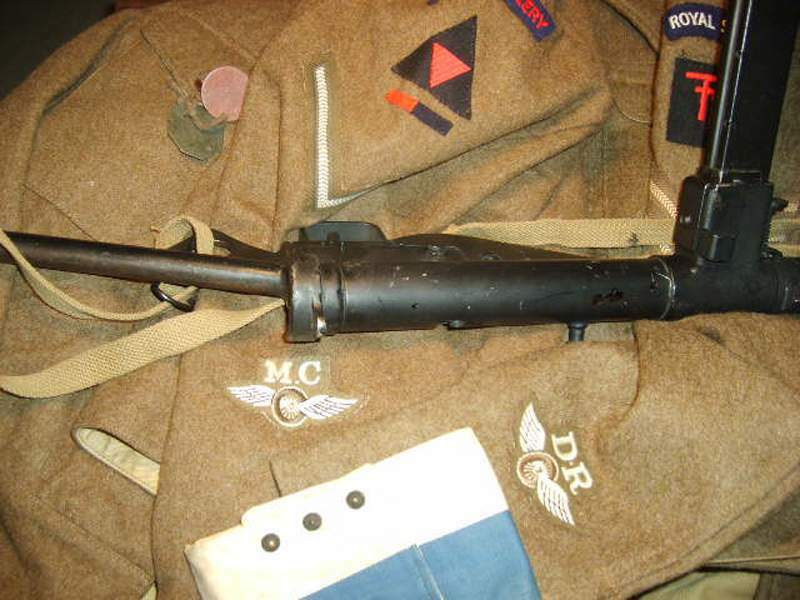 The helmet was made from 1942 until 1945 in quantity, and the lining solely by "Briggs Motor Bodies" (BMB) of Dagenham, Essex. 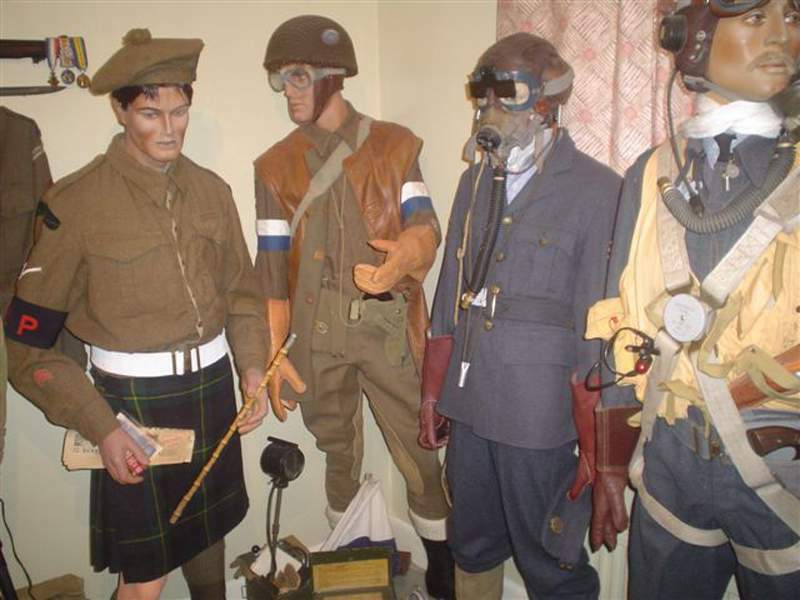 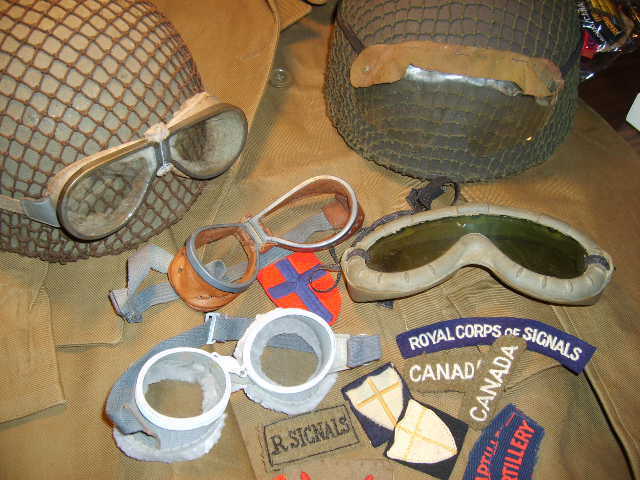 Helmets made from 1942 until 1944 are usually finished in drab khaki-green, and from 1944 onwards finished in drab dark brown. 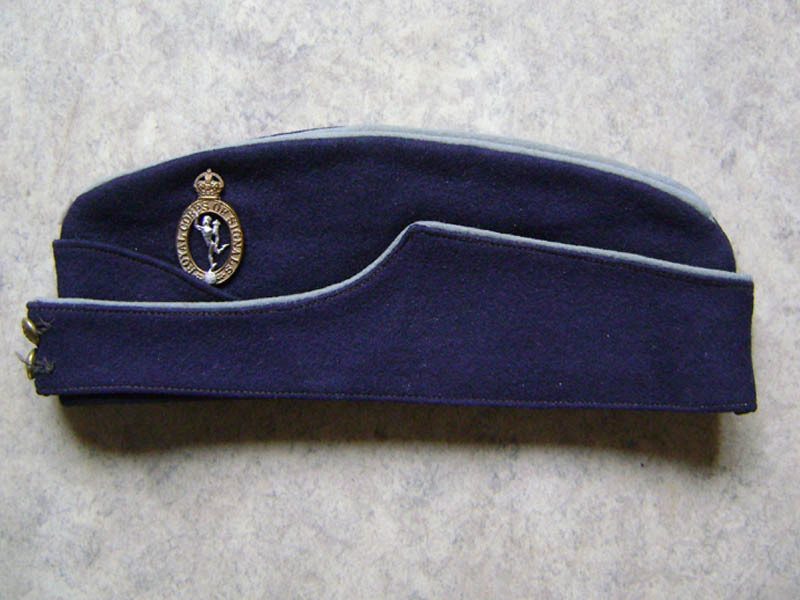 The Other Ranks Service Dress Cap was officially retained in wartime only by the Guards and the Military Police, but photographs show occasional exceptions to this rule. 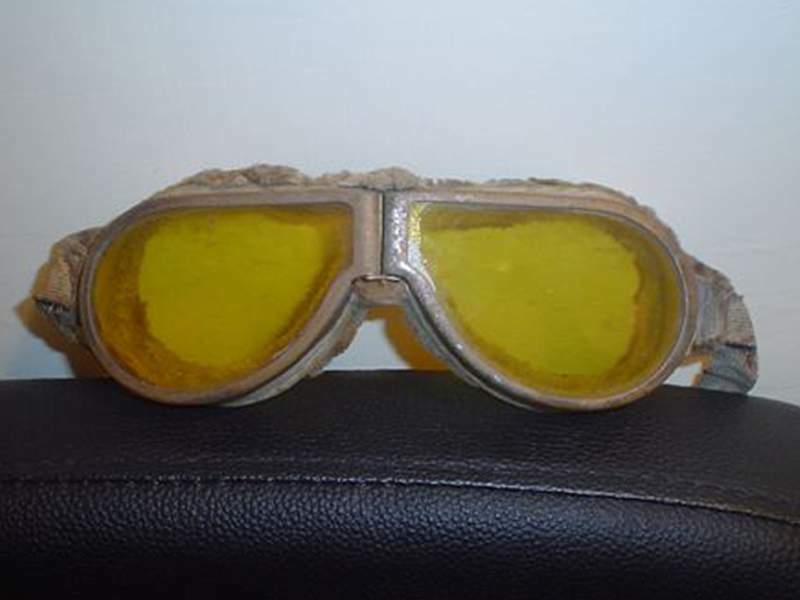 It is worn here with motoring goggles. 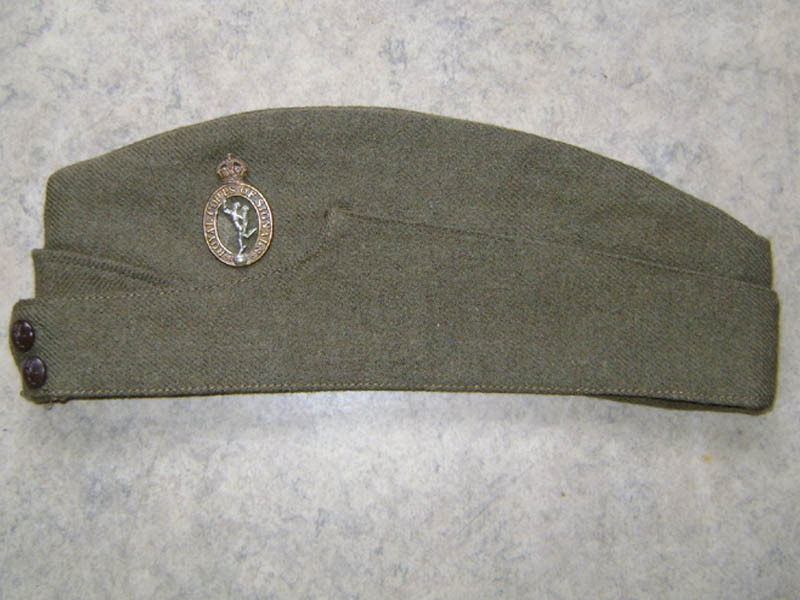 The field Service Cap specified in 1937 to be worn with the battledress was replaced in 1943 by the Generals Service Cap. 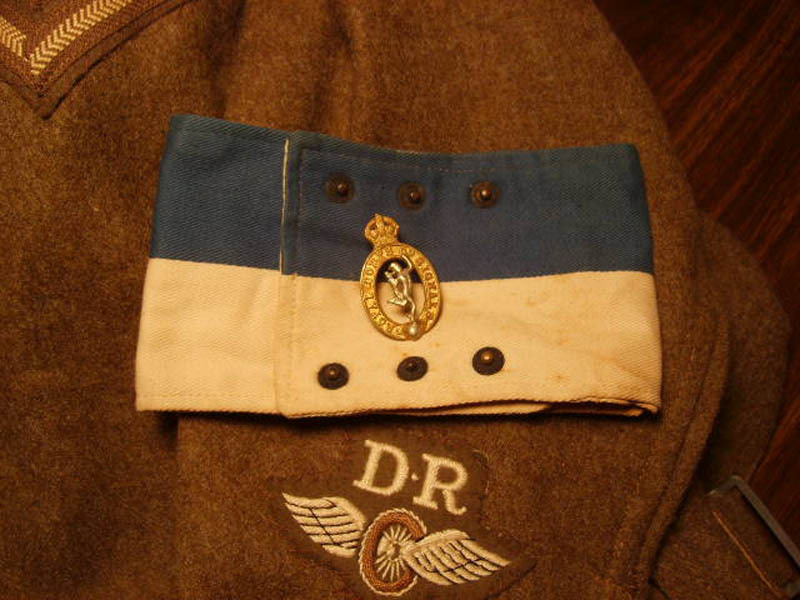 The (Signals) Coloured Field Service Cap which colours were consistent with the corps traditions had in most cases the came cut as the normal Field Service Cap. 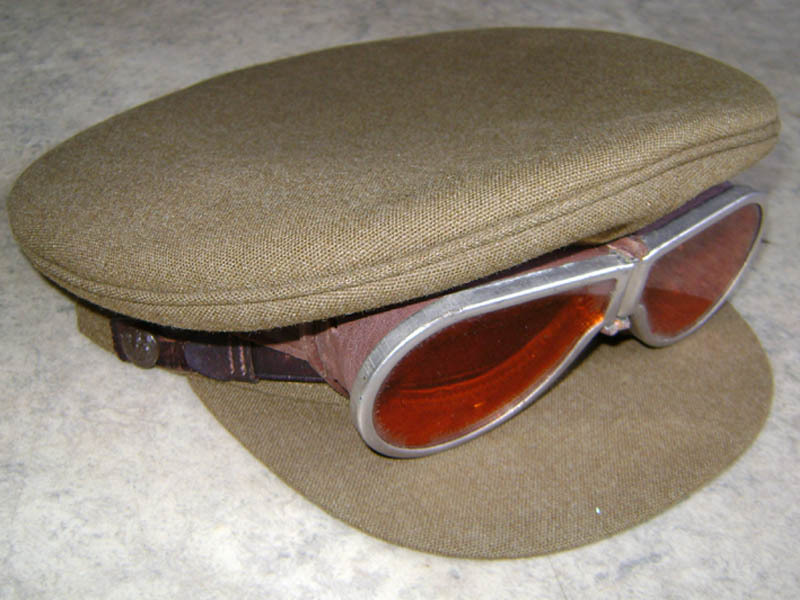 Wearing Coloured Field Service Caps was allowed from June 1937, but was optional and in any case reserved to personnel on leave and below the rank of Colonel. 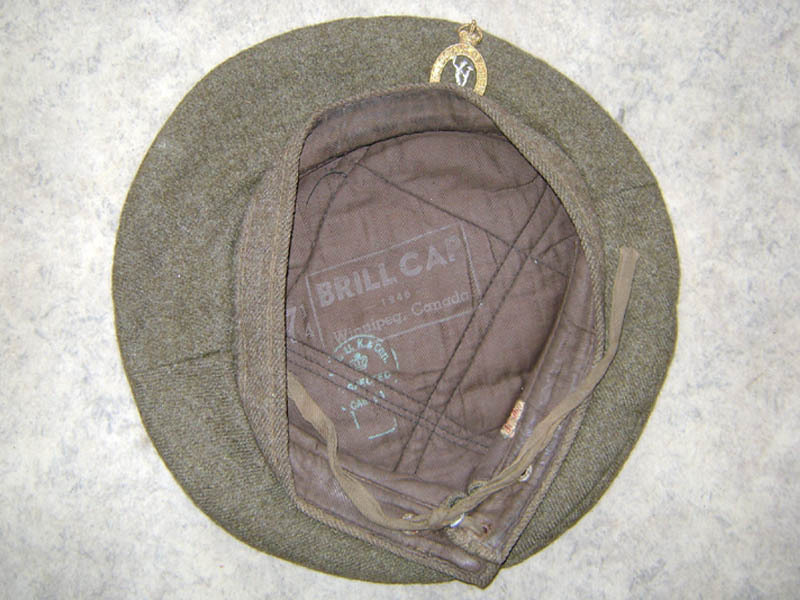 The Coloured Fields Service Cap could only be purchased privately. 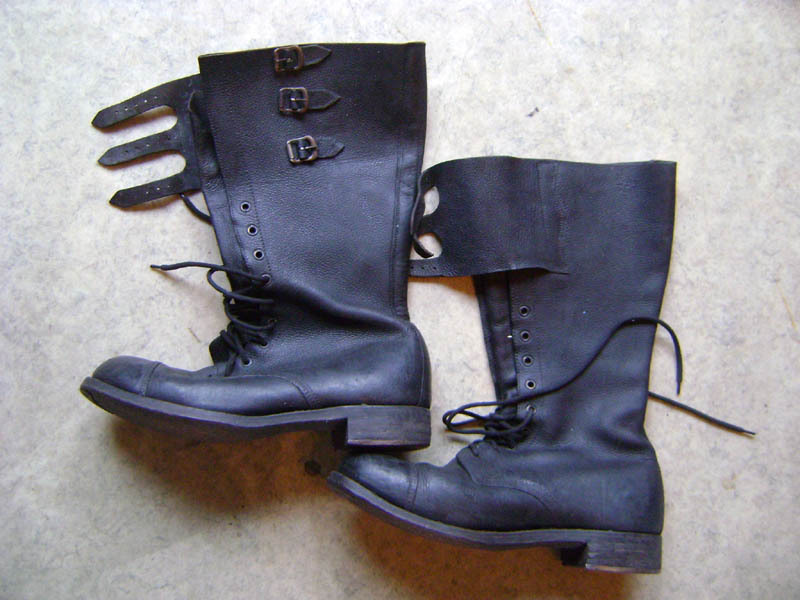 DR Gauntlets pre-dated WW2, and comprised a stout leather glove with a cotton-fleece lined hand portion to which was affixed the stiffened leather cuff section to prevent wind and rain from entering the coat sleeves. 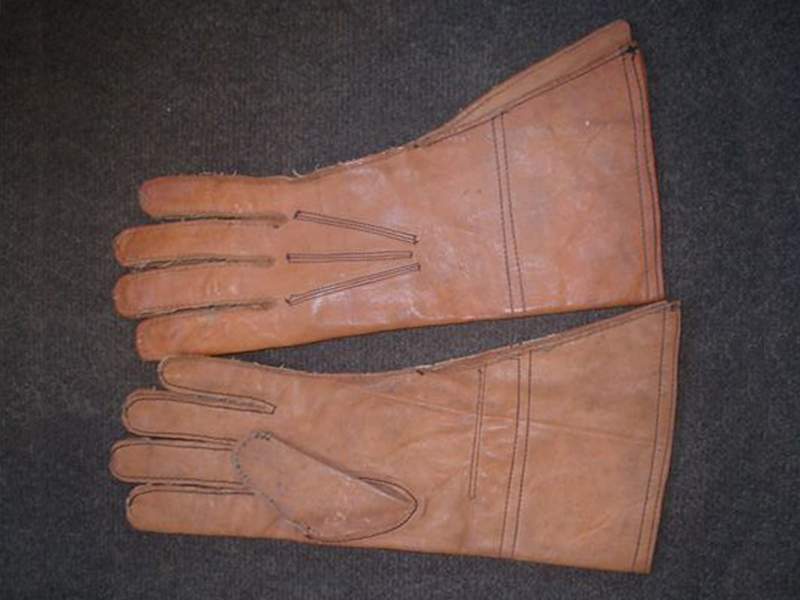 The original gloves were commonly found in a shade of "buff" coloured leather, but variations may be found in literally every shade from near "off-white" through "tan", to "chocolate brown", there is no "correct" shade. 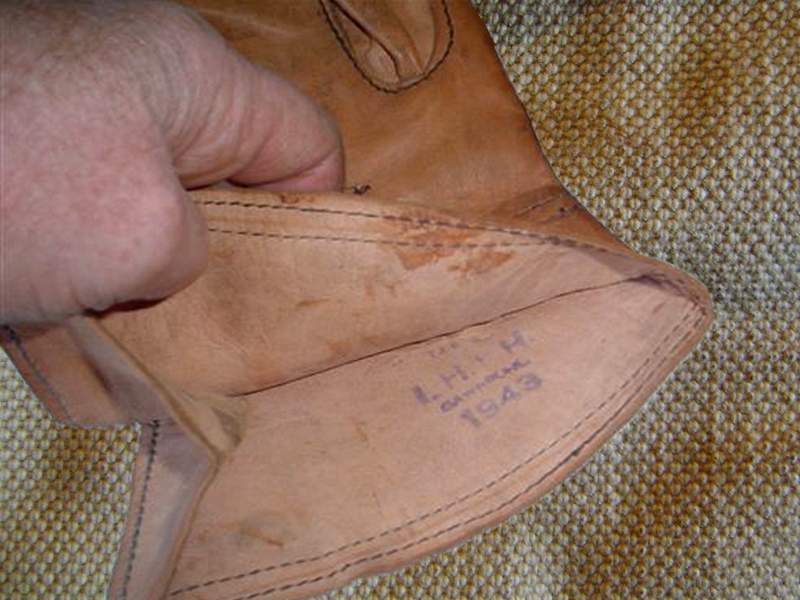 The gloves are usually ink-stamped internally on the cuff-portion, with size, maker, date and WD stamps. 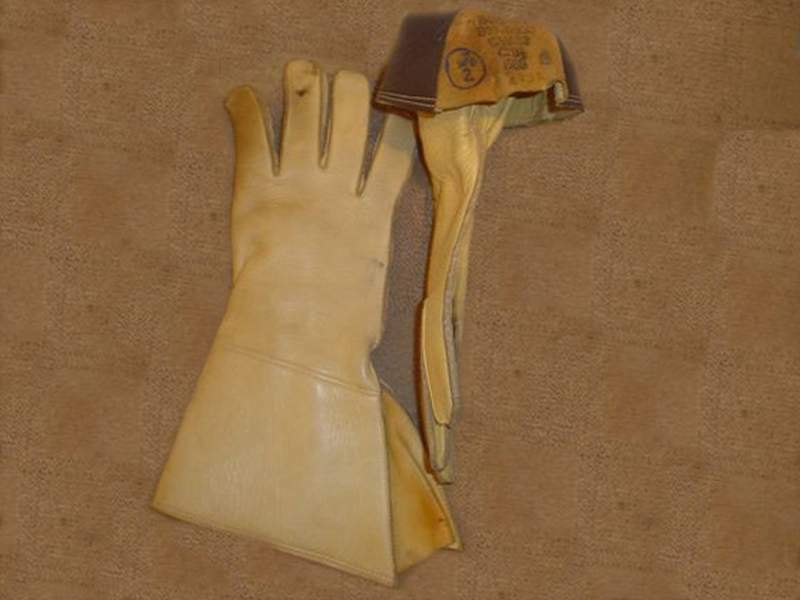 Variations of the gloves can be found, with some versions having the luxury of a tightening strap around the wrist. 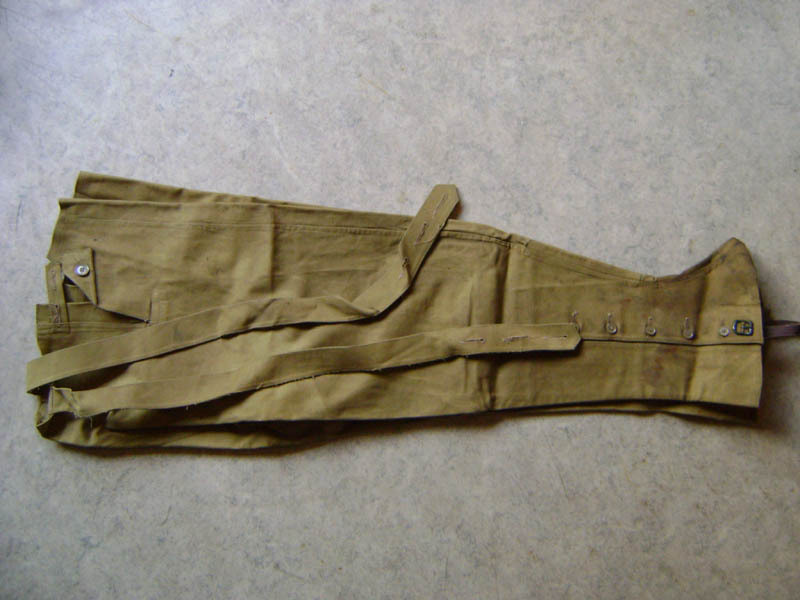 Often, you see a DR wearing pantaloons, tall DR boots, and what appear to be long socks turned down over the boot tops. 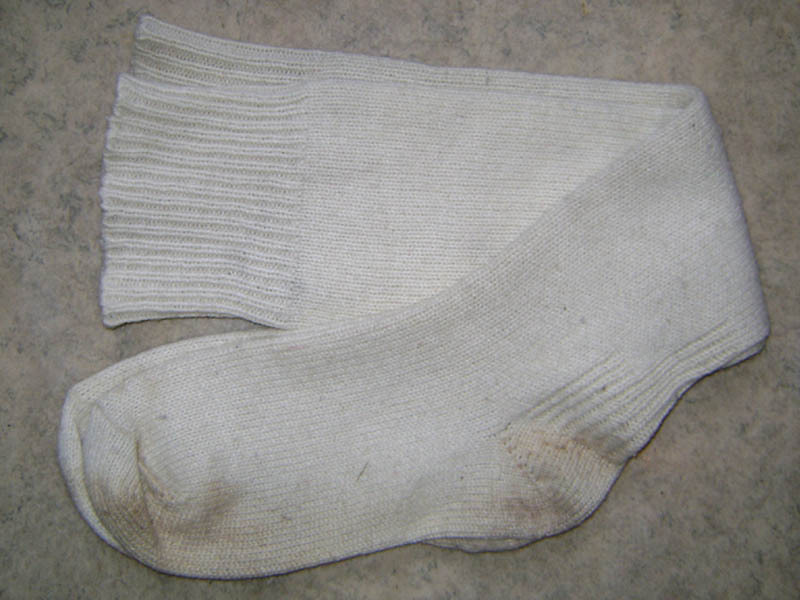 These "long socks" are often "hose tops" rather than socks. 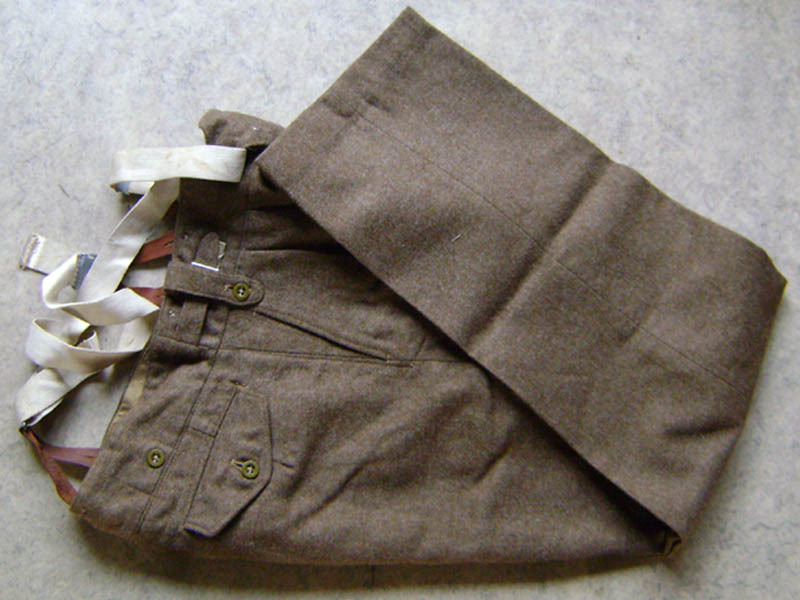 The standard ensemble was to put on your DR breeches, then your standard grey-wool calf-length woolen Army-issue socks. 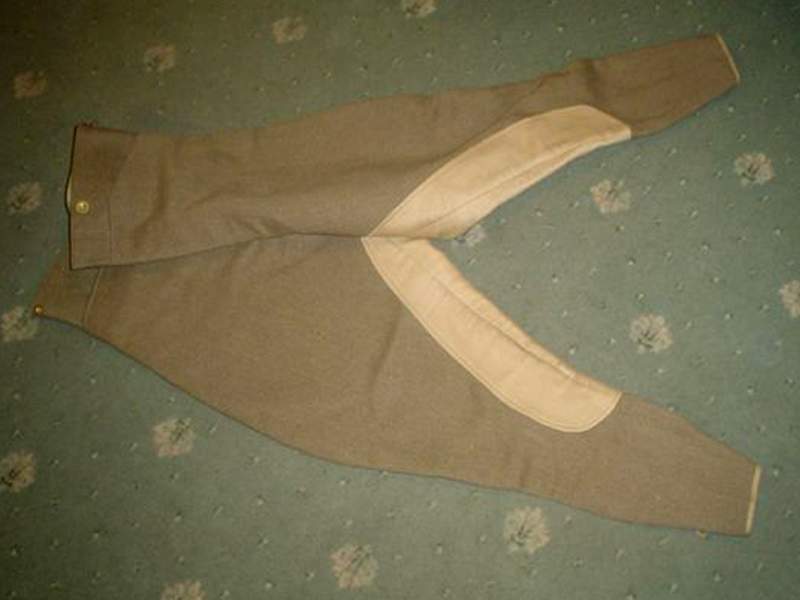 You then slipped on a pair of khaki-woollen knitted "hose tops". 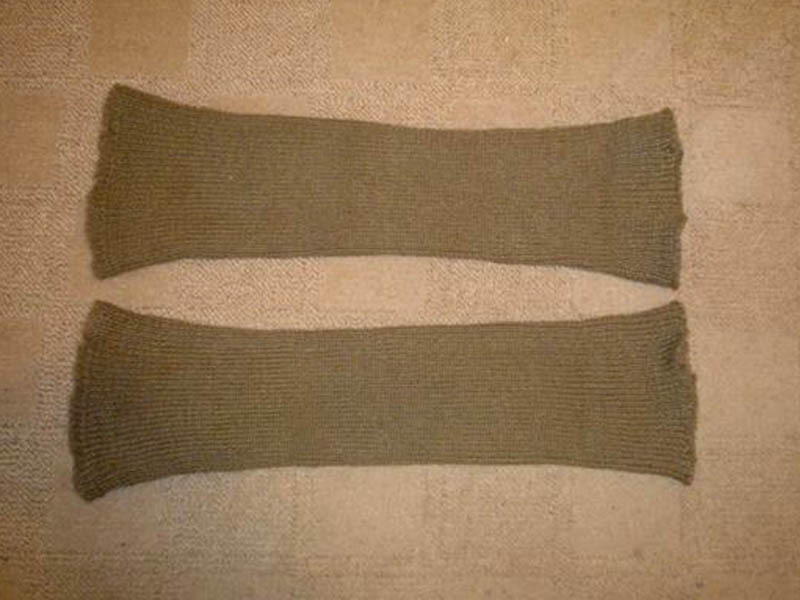 Hose tops are basically knitted "tubes" or socks, but without the foot portion.